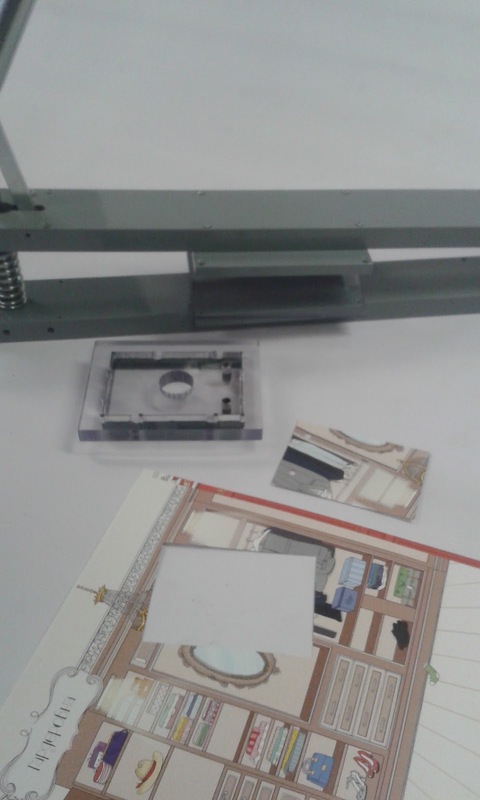 The Paperfox KB-32 die cutter is a really versatile device, you can crease, die cut and punch with it. 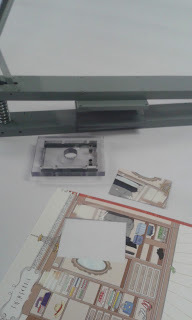 With some modification as in the picture bellow you can die cut even 9x12cm products. 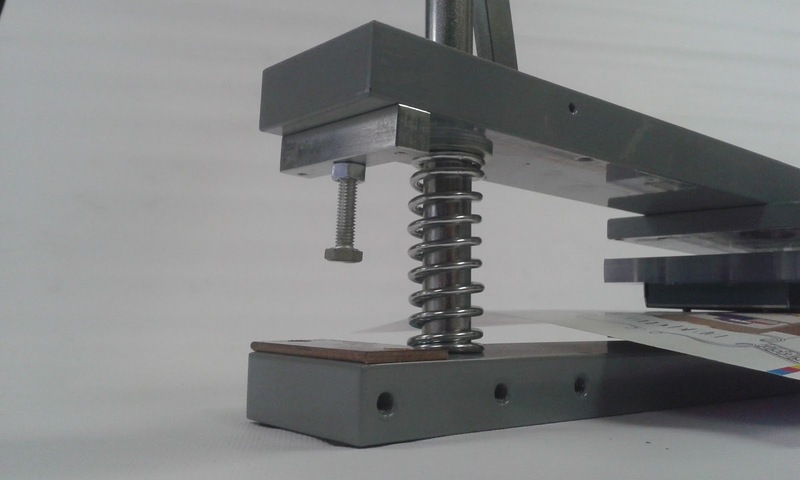 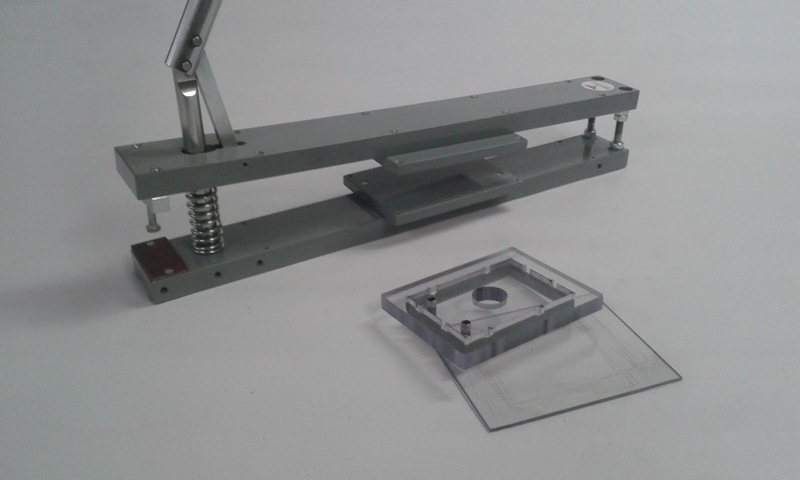 The mayor davantage of the transparent die cutting tool, that you can adjust the cutting lines to the printed elements. 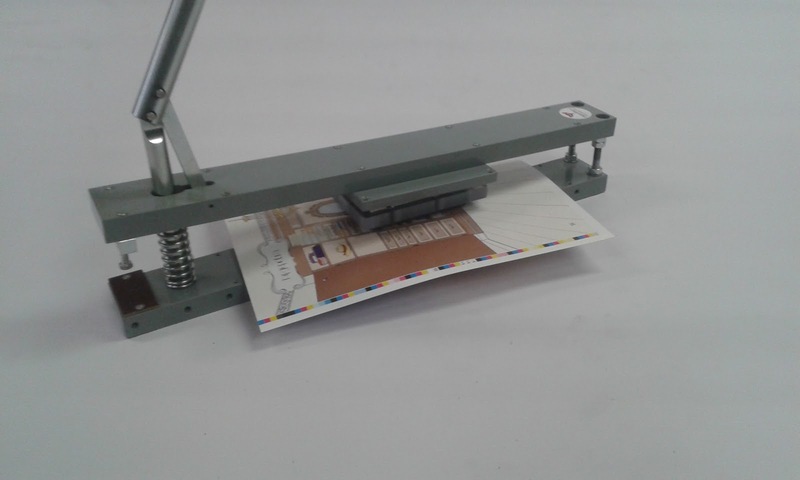 Place a cutting plate under the sheet to be cut, put the tool on the sheet and position the tool to the printed elements. Place all together into the die cutter and cut it. 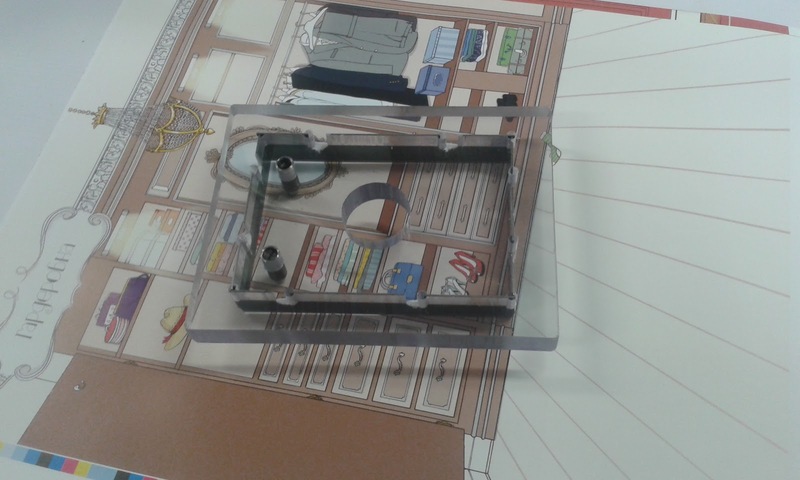 There are no ejecting rubbers in the tool so you can see the printed elements well. There is a hole on the tool so you can remove the cutted paper manually from the tool.